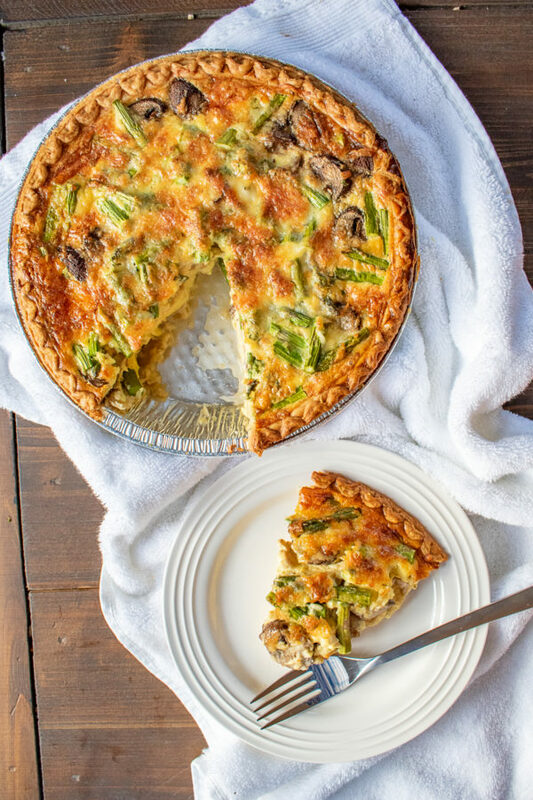 How To Make Quiche | A Quiche Recipe with 5 Minutes Active Prep Time! 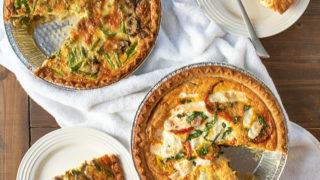 Learn how to make quiche – with just 5 minutes of active preparation time thanks to this basic quiche recipe. 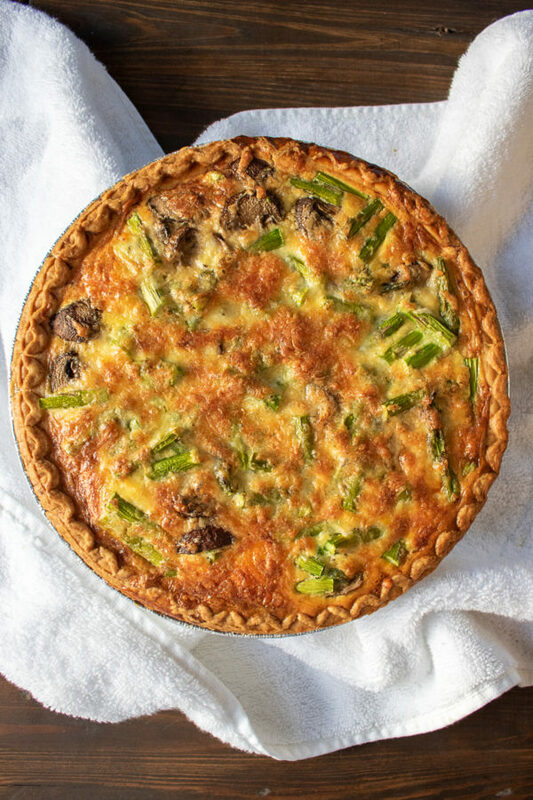 I love to make quiche because the active preparation time is minimal, and you can add any vegetables, meats, and cheeses you like. 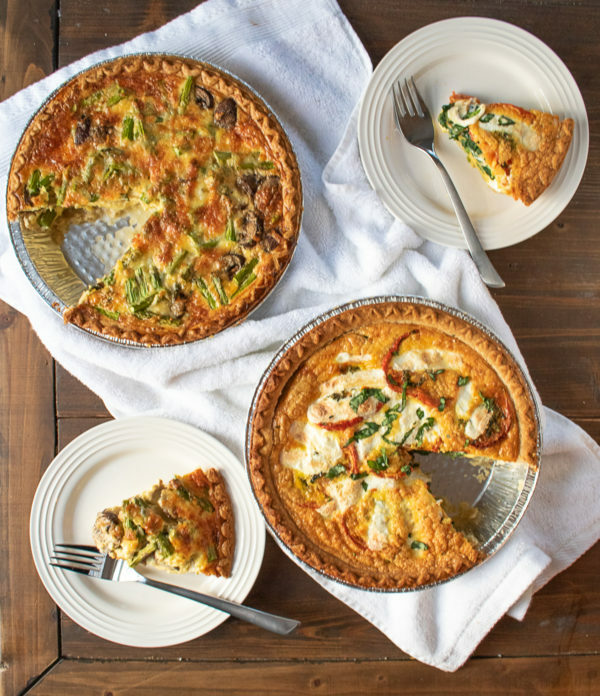 The processing of making quiche is simple, you add your fillings to a pastry crust, and then top with an egg mixture and bake. 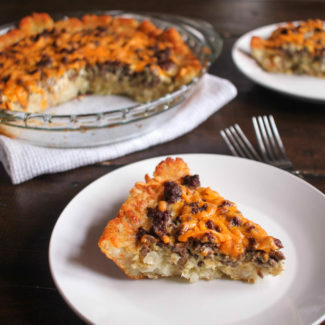 You do want to precook meats like bacon and sausage before adding it to the quiche, so that does increase the preparation time. To add meat without increasing the active preparation time, add crumbled precooked breakfast sausages, precooked bacon, or diced prosciutto. 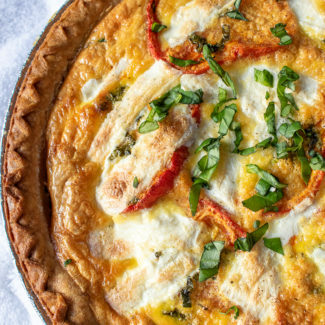 Quiche is perfect to serve at a breakfast, brunch, or lunch. 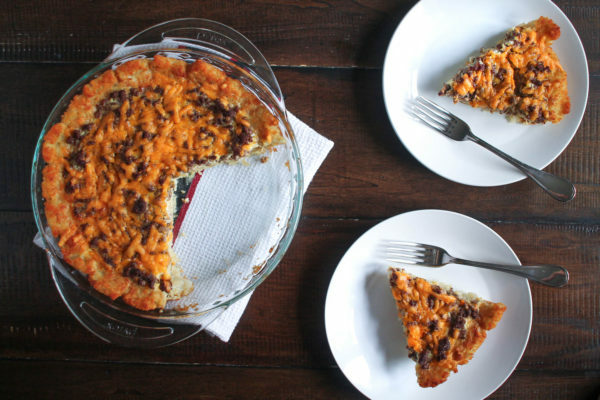 It’s great to make when you are hosting overnight guests, since it reheats well. You can make it a day or two in advance and simply reheat it in the oven for 20 minutes at 300 degrees. The easiest way to make quiche is to buy a pie crust already in a pie pan at the grocery store. Usually I think those in the freezer section at my grocery store, near desserts. 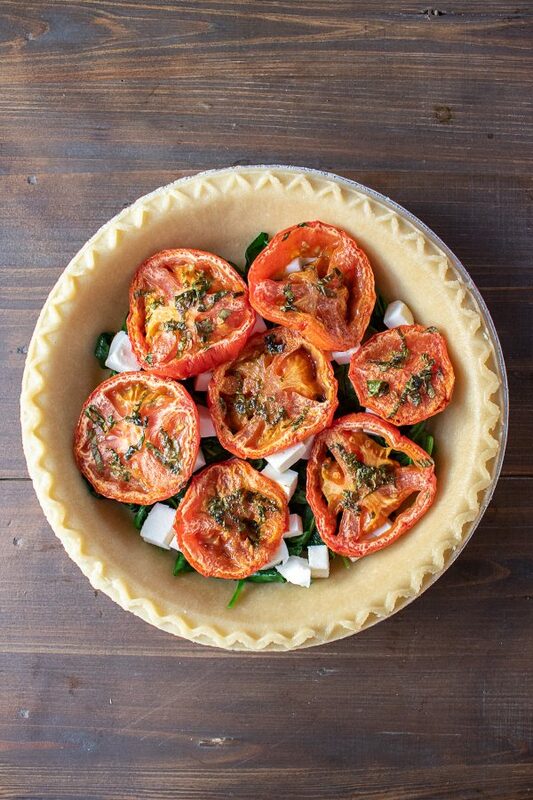 If they have a deep dish pie pan, that works best. 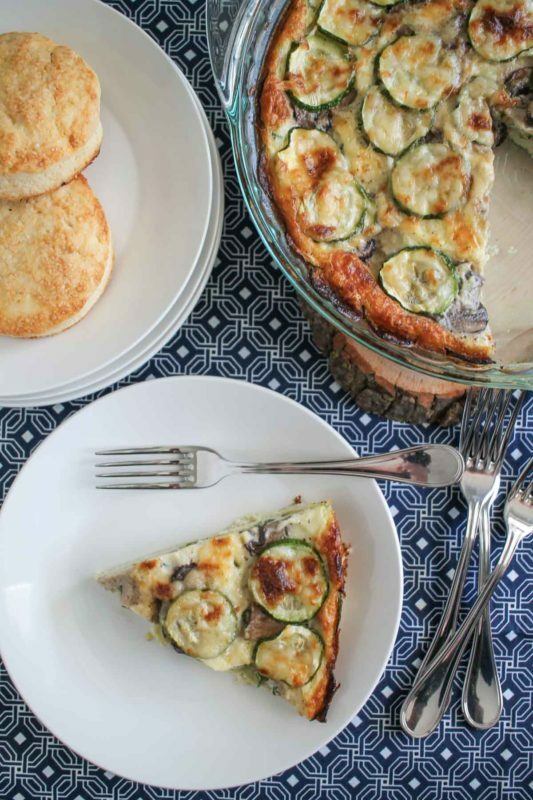 If you want to make a gluten-free quiche, you can make a quiche with a tater tot crust or a zucchini crust! 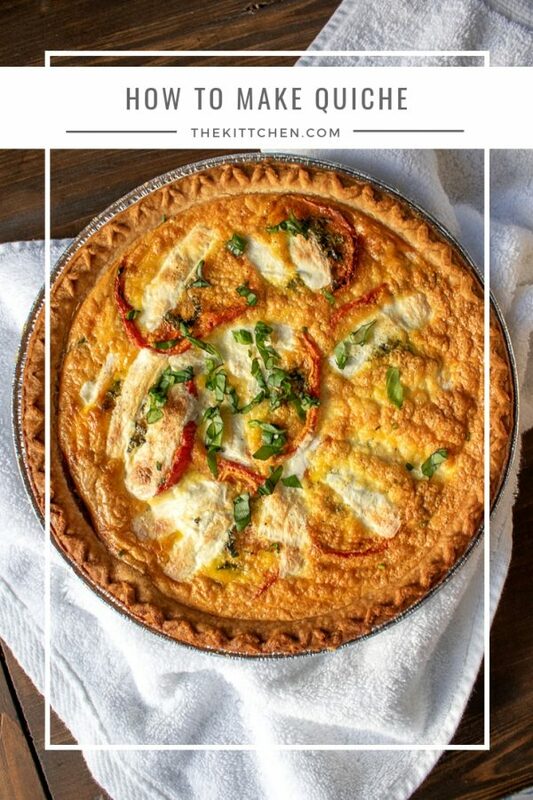 My quiche recipes have been pinned over 500,000 times on Pinterest, and I have gotten some reader feedback that I want to share. 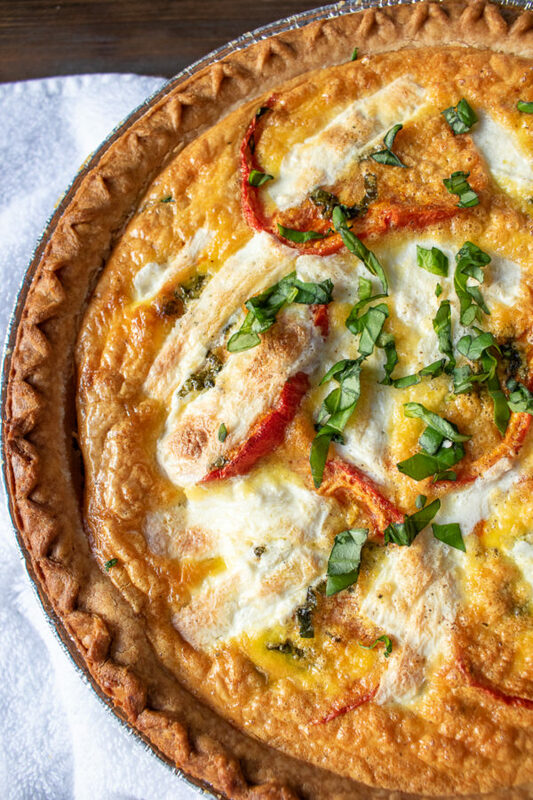 Learn how to make quiche with this simple customizable recipe. 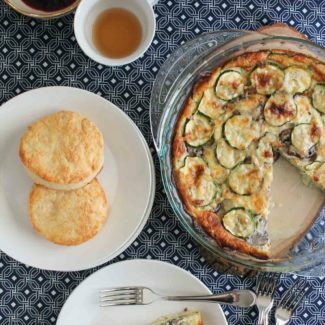 You can add your favorites breakfast meats, vegetables, and cheese to this basic quiche recipe. The active preparation time is just 5 minutes, and you will find yourself coming back to this recipe again and again. Heat the oven to 375 degrees. 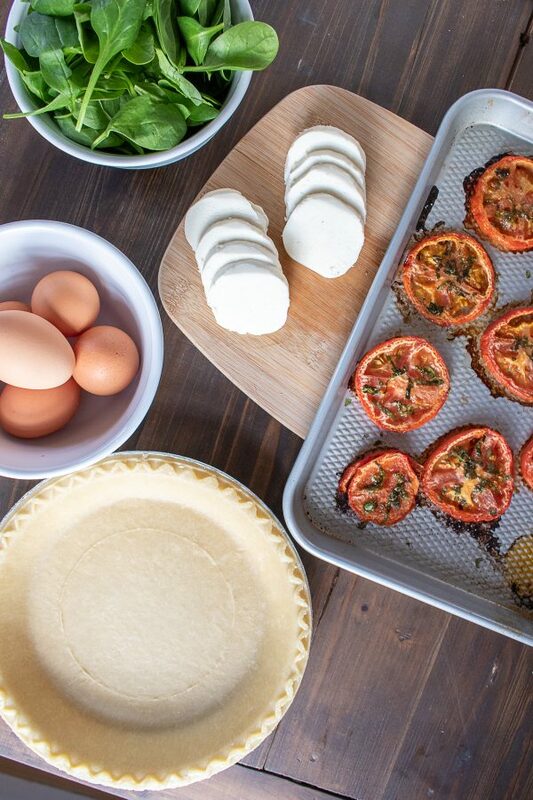 There is no need to precook the pie crust. If it is frozen let it thaw for 15 minutes first. 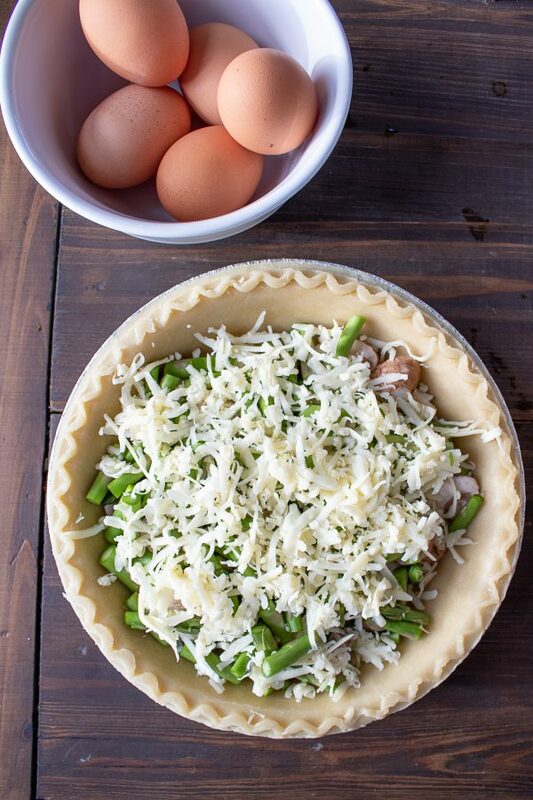 Layer the vegetables and/or meats, and cheese in the pie crust. Mix the eggs, cream, milk, salt, and pepper. Either beat them by hand for 2 minutes, or use a mixer for 1 minute. 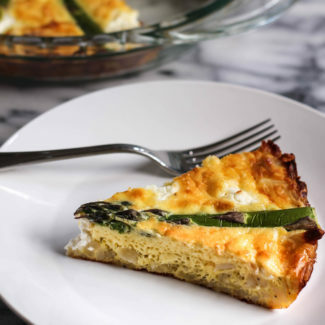 You want the eggs to be light and fluffy. 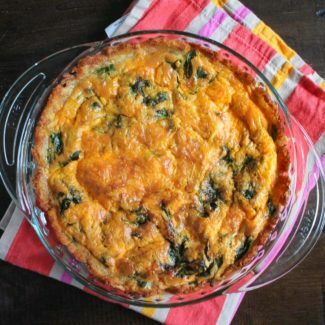 Pour the egg mixture over the vegetables and cheese and into the pie crust. 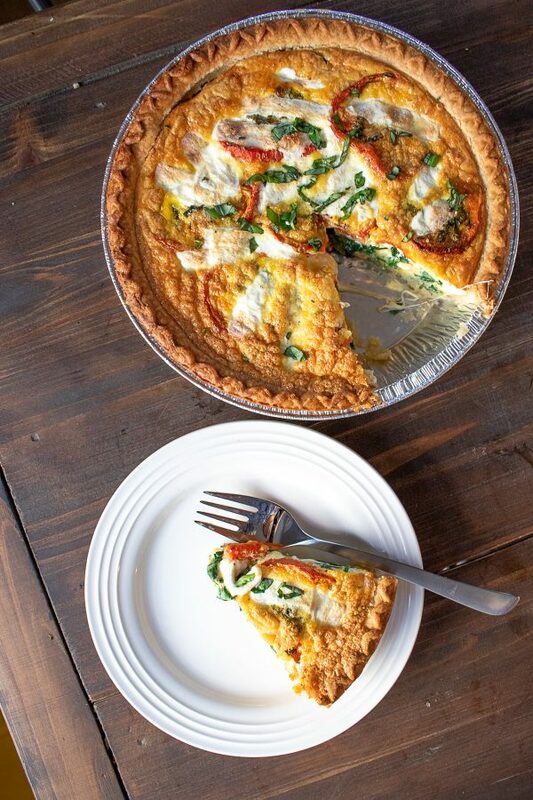 Fill the crust as much as possible, without letting the egg spill out. 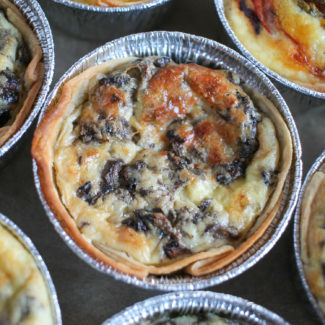 Bake for 35-45 minutes, until the center of the quiche has firmed up.